Your leaky throat damper is like a window left open year round - it will cost you hundreds of dollars a year in lost energy. 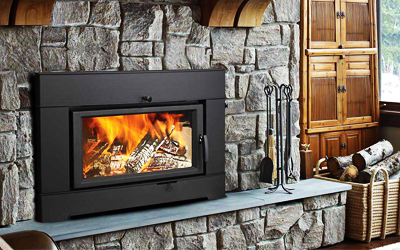 The Lock-Top™ Damper mounts on top of your chimney. 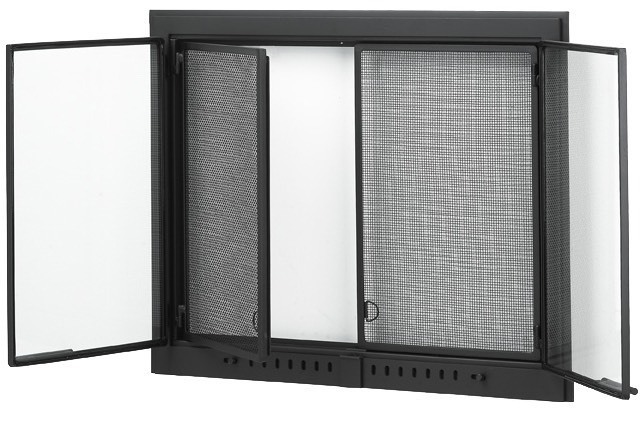 It's cast-aluminum and stainless steel parts seal with a silicone rubber gasket for airtight protection from the elements and energy loss. When you install a Lock-Top™ Damper, you will SAVE on your energy bills. 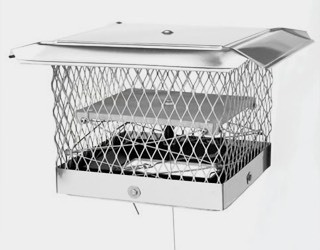 Our rain caps prevent animals from nesting in the chimney flue with a heavy gauge screen welded in place. 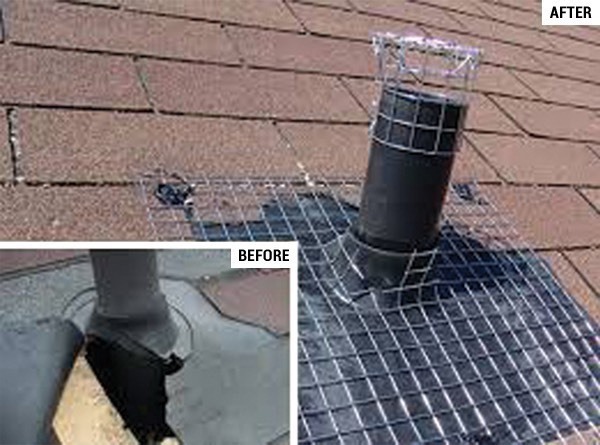 Rain caps keep out water preventing dampers from rusting out and freeze/thaw cycles from damaging the chimney. We also screen existing metal chimney caps and install most styles of metal chimney caps. 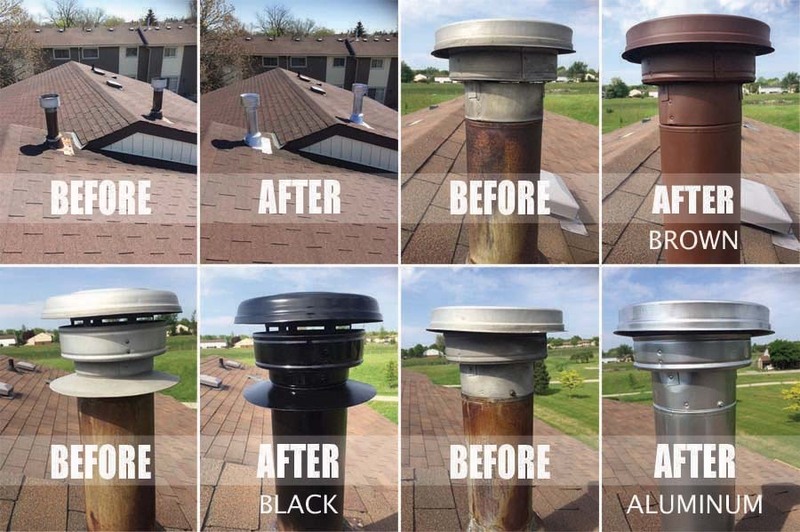 Every day we replace poor quality rain caps that have failed to do their job allowing birds, squirrels and raccoons to nest and live, or more commonly die, in the chimney. Nesting material is the most common reason for blocked chimneys, potentially allowing carbon monoxide to enter the home. We take hundreds of dead animals from chimneys every year, most of which have fallen or become stuck and starved to death. 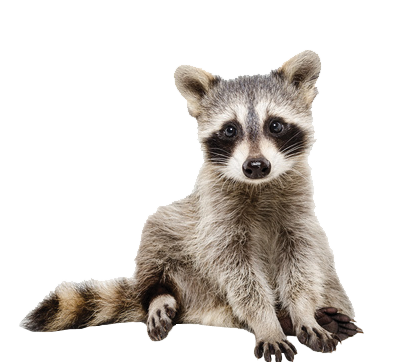 Wildlife Prevention Screening - keep the squirrels and raccoons out! 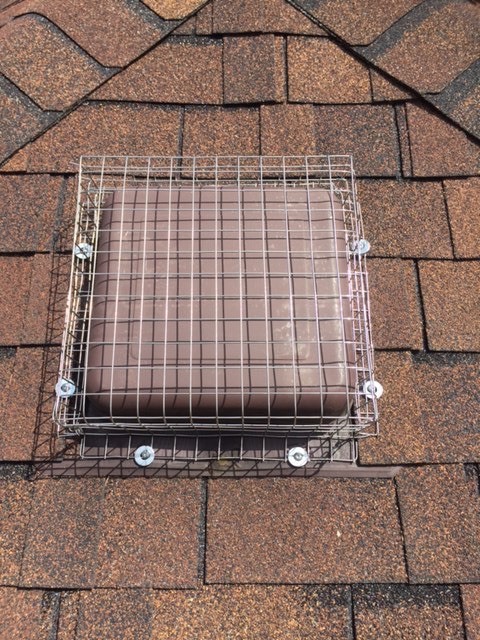 Squirrels and raccoons can easily tear open or chew the thin metal or plastic roof vents to gain access to the attic space. 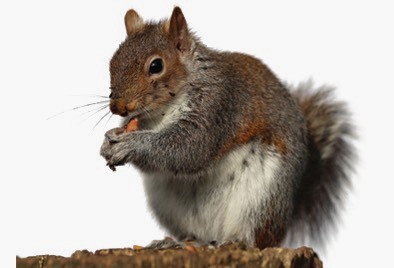 Preventative Screening can save wildlife removal costs and the DAMAGE that can be created by squirrels and raccoons. 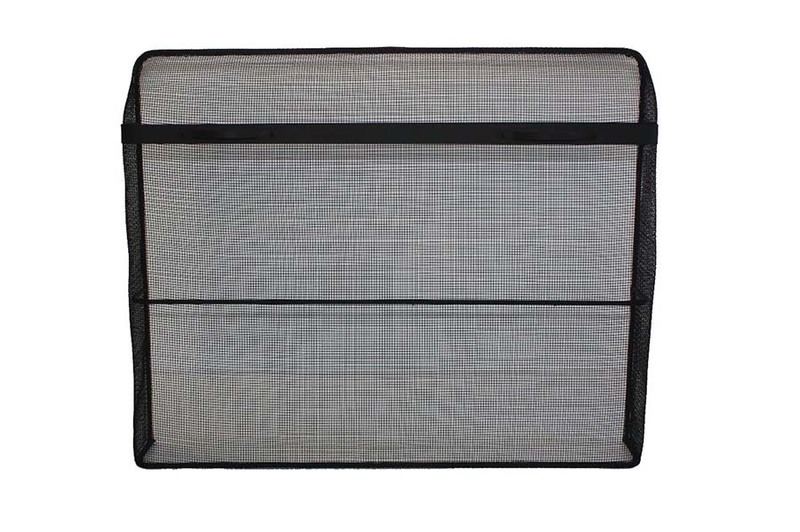 All of our screens are made of non corroding stainless steel. For more information on Roof Vents please call 905 523 6494. 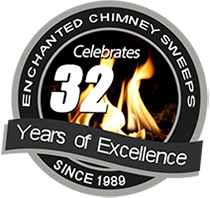 B vents are the chimneys that serve most furnaces and water heaters. They are galvanized metal on the outside and will eventually start to rust when exposed to Ontario's harsh winter elements. B Vents should be painted and caulked on an ongoing basis to prevent corrosion and to extend the lifetime of your chimney. 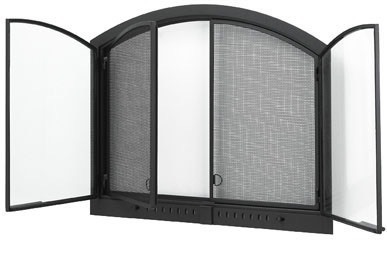 For more information about B Vent maintenance please call 905 523 6494. 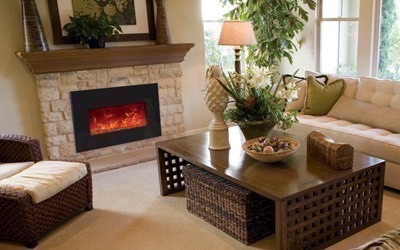 Most fireplaces smoke because the opening is too high. 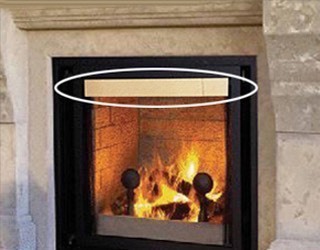 Smoke Guard™ lowers the fireplace opening, holding in the smoke and easily correcting the problem. Custom Fireplace Glass Doors proudly built in Canada by skilled craftsmen. All arches are made to measure, by following each specific template to fit any fireplace opening. Custom fireplace doors are often ready within 3 business days, however, curved and/or special cut glass requires a minimum of 15 business days. ALL CANADIAN MADE AND BACKED BY A LIFETIME WARRANTY ON WORKMANSHIP. 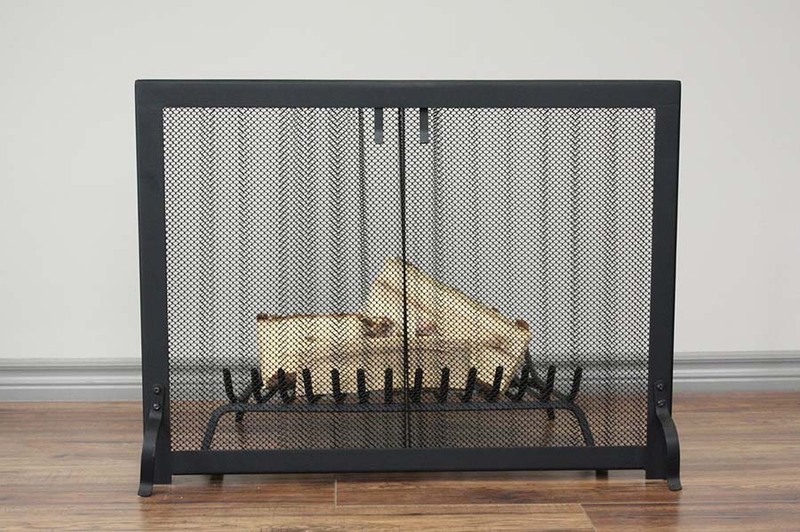 This fine collection of fireplace screens and accessories have been warming homes throughout Canada and the US for years. Anvil Fireside products are uncompromising in quality and craftsmanship, so you can enjoy the warmth of a fire with ease and comfort. 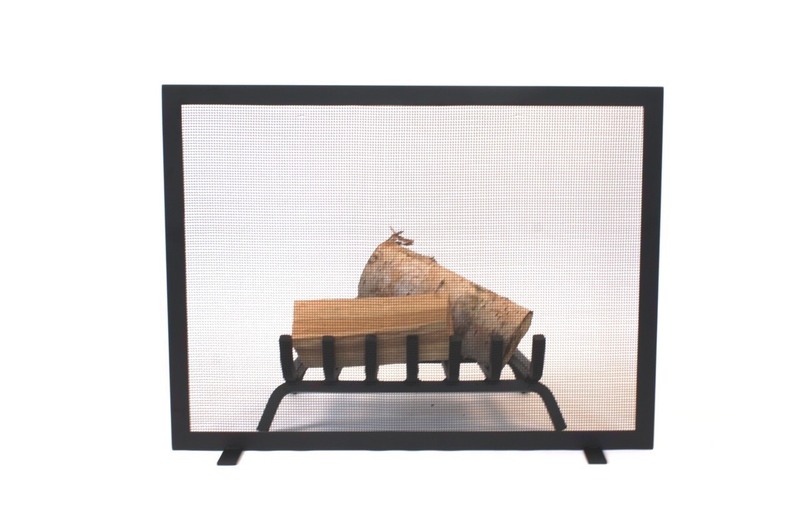 Custom Designed to Order these quality crafted fireplace screens blend flawlessly into your home and lifestyle. Numerous designs are available. Each piece is crafted with quality iron, and finished in a durable coating.